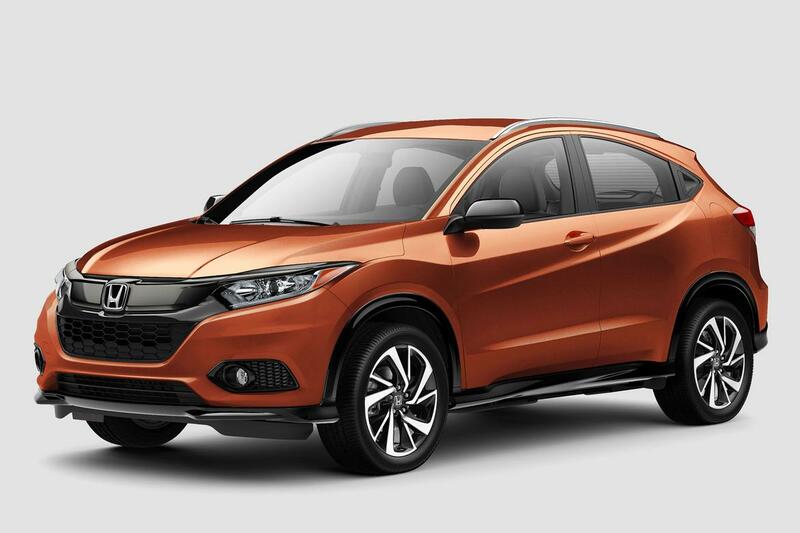 honda's 2019 hr-v subcompact suv went on sale today with new trim levels and features, along with a notable loss — goodbye stick shift. the hr-v is more a complete line of vehicles with better available safety and multimedia tech, but it's also now only available with the continuously variable automatic transmission, dropping the stick as the base transmission for the lx and ex trim levels. and the base lx model with the cvt will start at $21,515, including a $995 destination charge — up $1,005 from the stick-shift 2018 lx a year ago (with a $940 destination charge back then) and still up $205 from the 2018 lx with the cvt. honda slid in a last-minute 2018 price increase on may 1 for the suv and destination, but the 2019 still is up $850 from the manual lx and $50 from the automatic. honda does say that the cvt has been retuned for 2019 to better mimic the gear shifts of a conventional automatic. it says that will provide better "feel" (even if artificial) while cutting down on the used engine noise for which cvts are notorious, helped by additional cabin sound insulation for the 2019. while we're no fans of cvts, we'll take honda at its word until we get to try one for ourselves, because the automaker does a better job than most of tuning this type of automatic transmission. we gave you a rundown last month here of what else is new for the 2019 hr-v, but the short version is that there are a few significant changes. the suv gets a new sport model a step above the base lx with some sportier exterior and interior trim, 18-inch alloy wheels and an upgraded multimedia system. also, the ex-l no longer comes with in-car navigation, while a new top touring trim has standard all-wheel drive and navigation, and adds such fancier features as leather seating (not previously offered) that should compete better with top models of the competition in this hot subcompact suv market. it seemed before like honda was limiting how nice an hr-v you could get to keep from poaching buyers from its highly successful, but more expensive, cr-v compact suv. 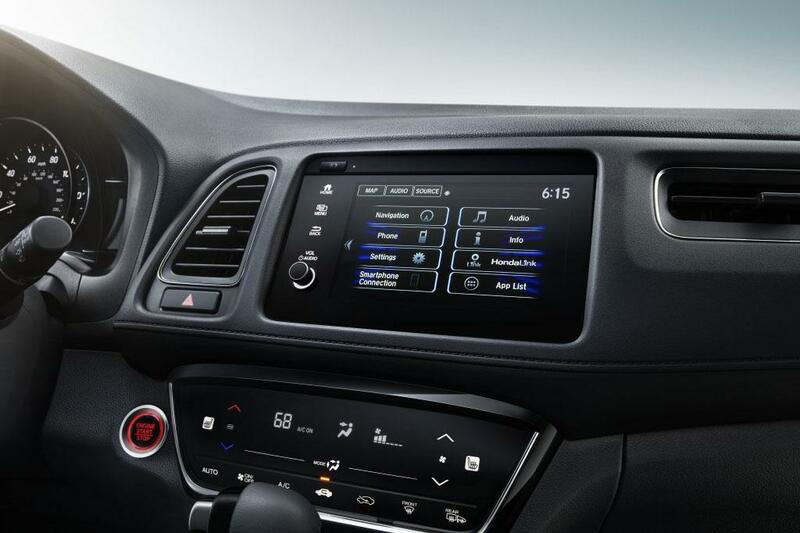 the 2019 hr-v also makes available on some models honda's display audio 7-inch touchscreen system that offers apple carplay and android auto integration, as well as (at last!) a physical volume knob, though tuning is still on the screen. but most important is that the excellent honda sensing suite of safety and driver assistance technology, from automatic emergency braking to lane keep assist to adaptive cruise control, now is standard on the volume ex trim level and above, as is honda's lanewatch blind spot camera (which many editors like). 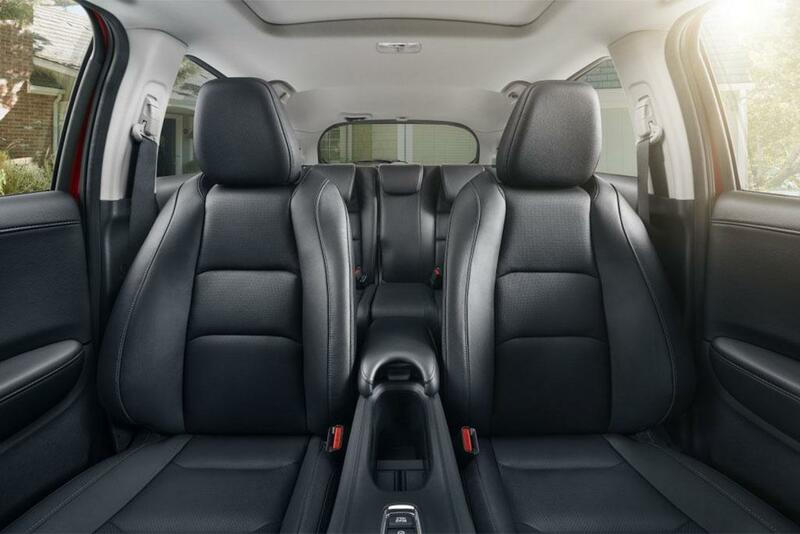 unfortunately, these features are not even an option on the lx and sport, unlike many competitors, including toyota, that make at least low-speed emergency braking standard on all trim levels of almost all of its vehicles. but it now means the system is at least offered at some level on all honda vehicles. the new sport trim level with front-wheel drive will start at $23,215 with destination. the ex volume model will start at $24,715, up $2,155 from a year ago but now including a standard automatic transmission and honda sensing technology. the ex-l will start at $26,315, up $335 from the also-cvt-only ex-l model a year ago that had navigation but did not have honda sensing. all-wheel drive is available on any of these models for $1,400. the new touring top model, which comes only with all-wheel drive and an upgraded-from-2018 navigation system, will start at a lofty $29,535 with destination. other standard features include led headlights and foglights, 17-inch alloy wheels, and stitched and perforated leather seats with an eight-way power driver's seat.